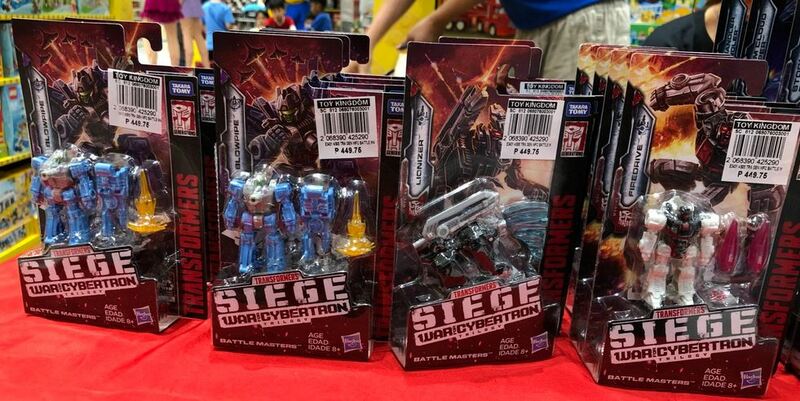 TFW2005 member vproject reported the arrival of Siege Wave 1 – all accounted for except the upcoming Leaders – to SM Megamall Manila, made available as part of a unique distribution event coordinated by Cybertron Philippines & Hasbro distributor Playkit Philippines before the figures are likely out at Toy Kingdom. Good hunting to our fellow Transformers fans in the Philippines! Remember to share your sightings reports on the 2005 boards! is there loose pics and what are prices for the Prime, and Hound size figures? Yep, your GF is right, my homeland has very hospitable people especially to foreigners. Although I suppose it can be too much if you don't want any attention. I did enjoy the TK and definitely enjoyed the large Mall of Asia in downtown Manila. I didnt mind the hospitality from the family and people on the street. I just didnt like it in the toy store because they were ignoring all the Filipino customers to try and help me. I didnt like being singled out because of my skin color. But visiting was still a grwat expierence. Ill never forget my visit to the Philippines. I got to shop at a few Toy Kingdoms. It was definitely an 80s TRU vibe like I stepped in a time warp. The only issue I had was that the staff was too nice to the point like I felt harassed. 2 or 3 different people tried to help me while I was looking at the Transformers display. I had to tell them all im just looking. I felt like I was in car dealership being hounded by salesmen working for commission. It appeared they all flocked to me because I was a foreigner and they ignored the other Filipino customers in the store to try and help me. I picked the items I wanted and one guy literally escorted me to the register and carried my items for me, I was getting super frustrated by this time, but I kept my cool. My then GF tried to explain to me its just their culture. But I felt like they were only doing it because they knew I was a foreigner spending money. I am realy only intristed in the deluxes, vaoyagers, and leaders. The battle masters fail to impress me. Usually only a day. Any unsold stock will probably go to Toy Kingdom's shelves afterward. POTP stuff isnt discounted yet. I still have to get Elita 1 and the two Decepticon jets. I wonder why… the line is effectively over and Siege is now here. Now would seem to be a great time to discount. voyagers went up 200p right? Can someone pls explain what happened while I was gone? Oh no. It's along Edsa. If you are coming from the south, just take the MRT and go down Ortigas station. Then it's a short walk from there. If I was there now I'd love to go if not for the insane traffic going to Manila. I think I've been to this mall but many years ago. It's not near Chinatown in Manila is it? Also how much are the SIEGE leaders going for over there? Wave two is coming in January? Do these release events last more than a day? I recall last year there was one for POTP but I can’t remember if it was just a one day thing. 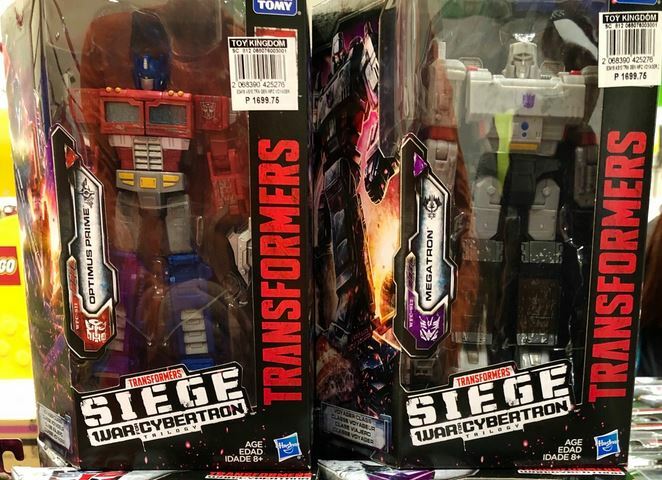 Also, were the POTP stuff discounted already? If you can go today, they still have a lot of stocks. Since people can only buy 1 of each, so no scalpers can hoard the entire table. 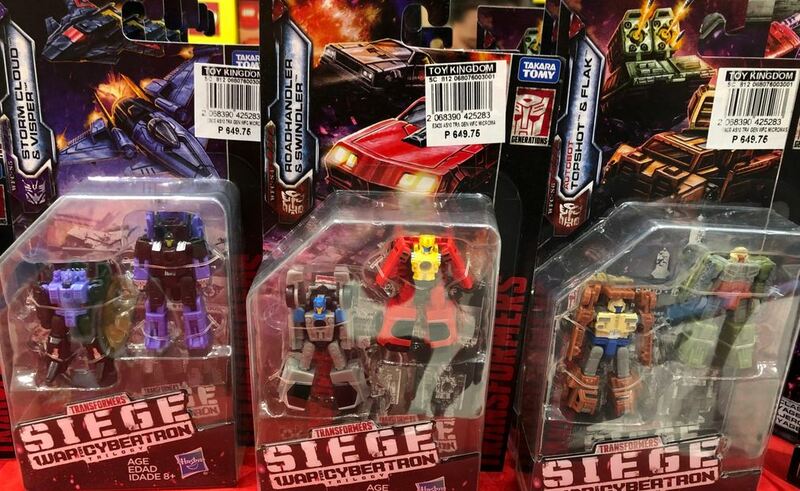 I was really anxious that the voyagers and deluxes would follow the Studio Series prices here in the PH and thank goodness they didn’t. Still iffy on the prices of the battle masters and the micro masters though, but can’t wait to get my hands on the new figures soon!